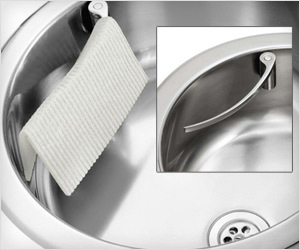 Dish rags and towel cloth generally hangs on faucet, lays inside or under the sink. Not just this looks bad, it spreads bad smell from wet cloth. How about bringing end to this problem using Magisso Kitchen Stainless Steel Cloth Holder.